The slot game begins with an introductory clip that shows a team landing at an island that is inhabited by dinosaurs. The symbols on the reels depict the kind of conflict between man and beast as seen in the Jurassic Park series of movies. There are six different dinosaurs in the symbols and all have been portrayed realistically. The human element is represented by the woman holding the dart gun, the land rover and the helicopter. The amber fossil that preserved the dinosaur DNA and the volcanic island are also symbols on the reels. The wild symbol is the T-Rex, the scatter symbol is the Scatter Logo set in the background of dense foliage and the bonus symbol is the dinosaur egg symbol. 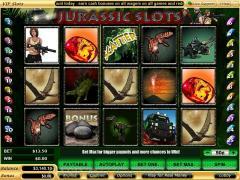 Jurassic Slots is a 25 payline slot game from Vegas Technology. Players can enable from 1 to 25 paylines. The coin size range varies from 0.01 to 10.00. Players can wager only one coin per payline. This leads to a maximum line bet of 10.00 and a maximum total bet for a spin of 250.00. This slot game will attract both high rollers and low rollers. T-Rex is the wild symbol. It does not offer any line payouts nor does it multiply payouts. The Scatter Logo is the scatter symbol. Three scatter symbols anywhere on the reels generate a scatter payout. The scatter payout is computed in an innovative manner. It is the product of the base win and the total amount wagered on the initiating spin. Three scatter symbols appearing anywhere on the reels also trigger the free spins round. 10 free spins are awarded at normal payouts, but wild symbols appearing during free spins are held in place for the remainder of the free spins. The free spins cannot be retriggered. Jurassic Slots has an excellent bonus game on the second screen. This game is triggered when three bonus symbols appear on an active payline. 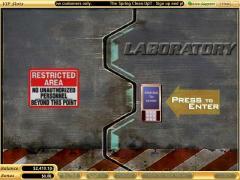 In level 1 of the bonus game players are granted access to a restricted laboratory. There players have to choose one from nine highlighted targets. They receive bonus credits for their choice. Players are then taken to level 2 where they have to choose one from five locations on the island. Again players get credits for their choice. In level 3 players have to choose one from three panels. The credits given at all three levels are totaled up and displayed. Players have the option of accepting these credits and flying away from the island on a waiting helicopter. Or they can exchange these credits for an amount concealed in a container. The bonus game contains excellent graphics and replicates situations from the Jurassic Park movies. 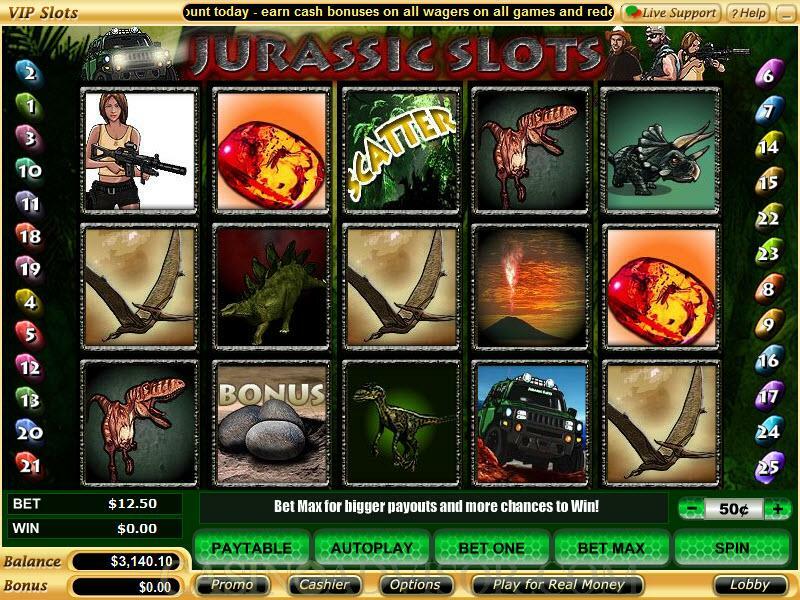 Interested in reading more detailed information about Jurassic Slots? If so Click Here for more details.